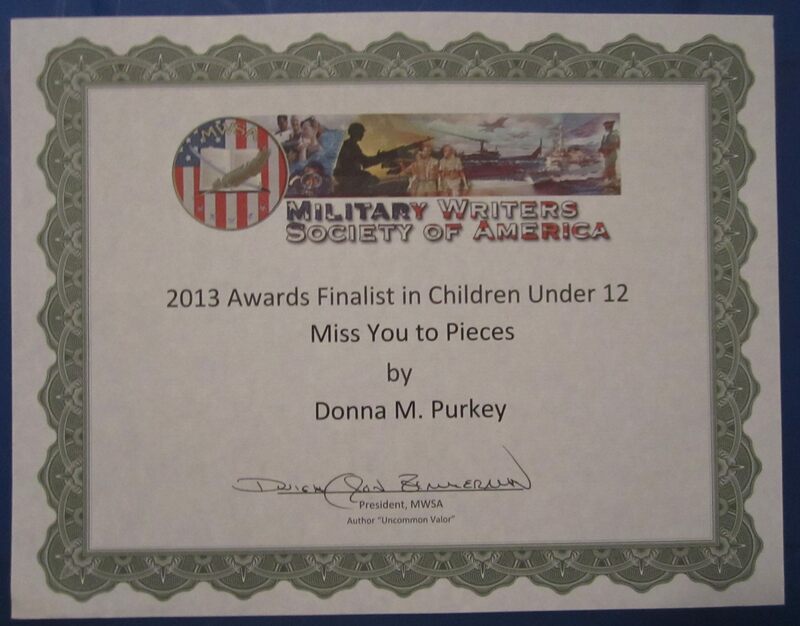 "Miss you to Pieces" deployment book and a GIVEAWAY! Happy Veterans Day!! 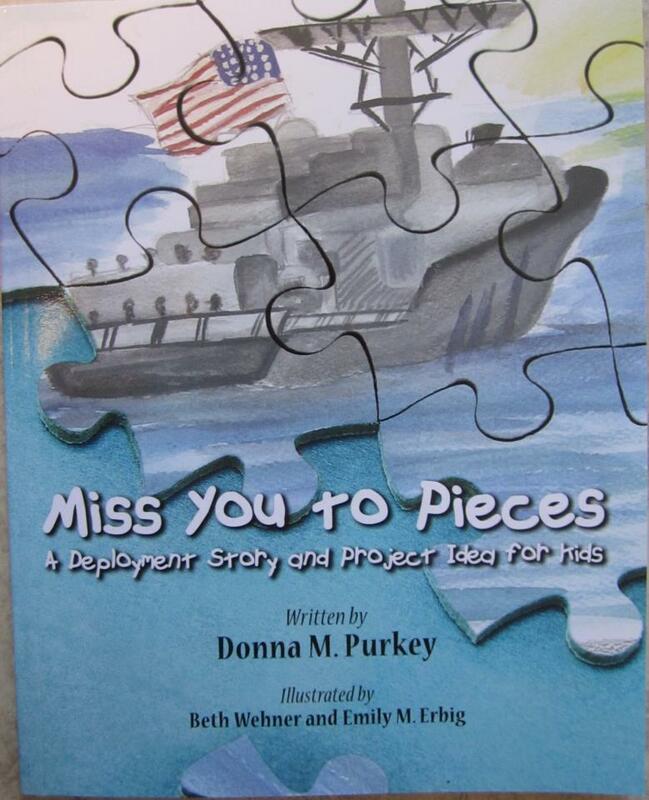 “Miss you to Pieces” deployment book and a GIVEAWAY! Happy Veterans Day!! Everyone has a story to tell, and everyone has a dream to follow. For me, telling my story was following my dream. I have always been a writer and I’ve always enjoyed writing. I am probably one of the few people in the world who still has a pen-pal (since 1988!) and we actually write letters to each other – you know, the “old-fashioned way”. But, that is a topic for a completely different blog post! It has been a life-long dream of mine to write and publish a book, and here’s my story! I am a Navy wife and mother of two young children. I am also a teacher and a writer. I’d venture to say that I am following my dreams, but to be honest, I never dreamed of marrying a sailor and living the military lifestyle! It just happened…and I am so glad it did! Our children are our greatest gifts and it is because of them that I was inspired to write what has become an award-winning book! 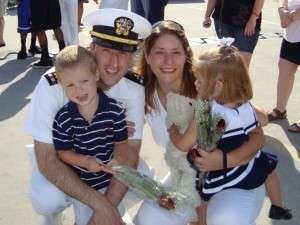 Purkey family: R., Keith, Donna, and L.
A few years ago, my husband deployed (which he often does). My children were only two and three years old and I wasn’t really sure how the deployment was affecting them. We used a variety of activities to keep Dad a part of our lives and I had to believe they were making a difference. But, to be honest, I despised the never ending paper chain. It was a visual reminder of how much longer we had to wait. The length was depressing.And, we were counting backwards which was ridiculous because my kids couldn’t even count forward. We did, however, love our “Flat Daddy” – a life sized photo board of my husband (from the waist up). He mostly hung out in the living room, and my kids often tried to feed him, kiss him, hug him, etc. He even joined us for Thanksgiving dinner at a friend’s house and it was a huge hit! The following year, my husband deployed – again! This time, we had “Dad pillows” and we filled a jar with chocolate kisses so the kids could have “a kiss from Dad” each day. Well, that didn’t work. What kid is happy with ONE piece of chocolate? It was such a tease. And, my kids couldn’t understand why Dad would only give them ONE kiss each day? I quickly lost interest in this idea. It just wasn’t working for us. We needed something else. Something more meaningful. Something more creative. Throughout the story, Riley experiences the normal range of emotions that kids often feel during deployment. But, he grows, just as his puzzle grows, and he comes to realize his mom was right, “The days are like puzzle pieces – some are more exciting than others. But each piece is important because it helps the puzzle grow. And, each day is important because it helps you grow bigger, smarter and stronger!” The story reassures kids that their emotions (like Riley’s) are normal and temporary. And, the puzzle project offers a fun and meaningful way to count the days while providing a daily opportunity to talk and keep the family connected. 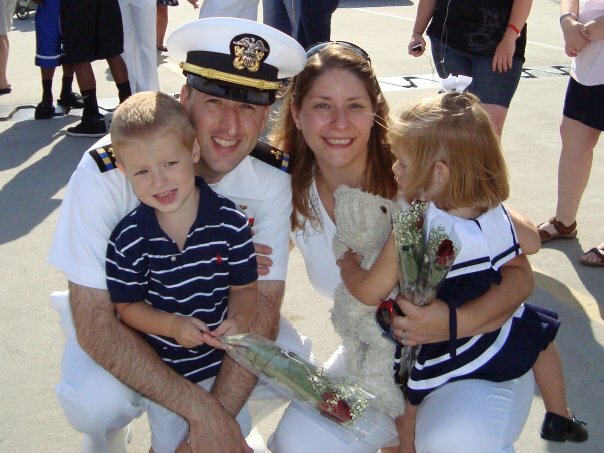 As I mentioned, the story is based on my family and our experiences with deployment, but it is undoubtedly a story that most military families can relate to. The puzzle project is something we have done (more than once) and it’s not only fun, it provides us a special time each night. While my kids are looking for the puzzle piece they need (they are numbered on the back by the way! ), we talk about Dad, our feelings, our day, whatever! We connect as a family and we strengthen our family bond. We build ourselves as we build our puzzles. And we stay connected just as our puzzle pieces stay connected. 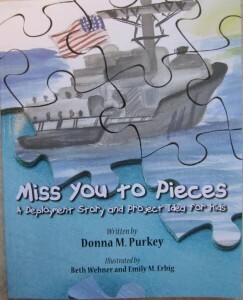 I mention that my story is geared towards military families but I’d like to add that ANY family that experiences temporary separation – or any family that is “counting the days” to a special event – can be touched by the story and inspired by the puzzle project. 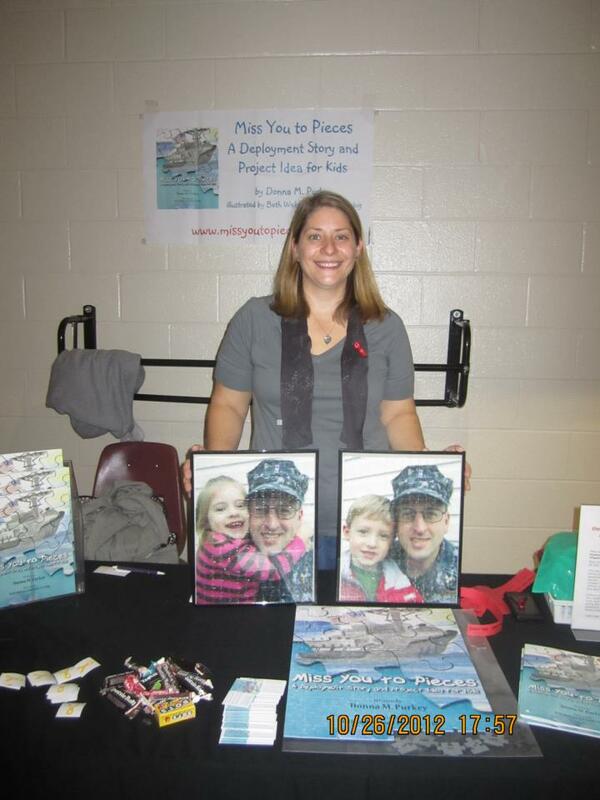 In addition, it’s an excellent teaching tool to illustrate the sacrifices of military families! To conclude, I’ve told my story and in doing so, I’ve followed my dream of writing a book. But, to be honest, writing my book wasn’t really about me. 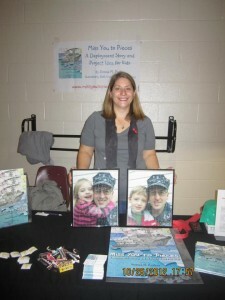 My intention in writing the book was to share our project idea so that it would provide other families with a fun and meaningful project to not only count the days of a deployment, but to create an opportunity to connect with each other. I also wanted to show kids that their feelings are real and normal. Riley’s example is both comforting and encouraging to children who are experiencing the emotional roller coaster that is common during deployments. I truly hope that my readers will create their own puzzle projects and so I’ve included “Tips for creating your own puzzle project” at the end of the book. And, the tips are good, but you’ll have to read them for yourself! 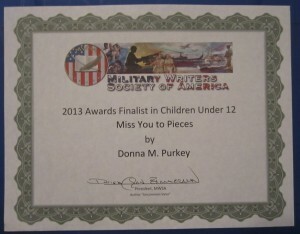 *”Miss You to Pieces” has recently been awarded Honorable Mention and a Five Star rating from Readers’ Favorite 2013 Annual Book Award Contest. 2) Write a comment on this blog about why you like Donna’s idea for her book, or share your own deployment story, or one of a friend or family you know. YOU MUST complete both steps to be entered once. To be entered twice you need to share this blog post on your facebook page or Twitter. Please include your FB page or Twitter name so we can confirm! Wish I had this when my hubby was deployed, and we didn’t even have kids yet!